In laboratory tests these towing socks withstood a breaking load in excess of three times the working load. The Towing Socks are manufactured of Hi-Fatigue plastic coated Aircraft Strand steel cable in various weave designs. 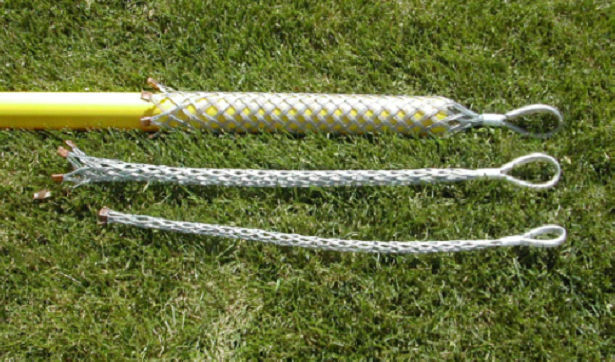 Plastic coated strands increase the life of the grip, provide a bearing surface on underground pulls and increase the ease and safety of installation and removal for workmen. The pulling eye is flexible and stress relieving.